When I have a friend tell me that she has found a book that I just have to read, I take her seriously because she is usually right. And in this case, this book is so good that I have to share it with everyone. The hero in this book is Lev Leokov. It never comes out and states as such but I am sure that he has Aspergers or something else in the Autism Spectrum. His brother and sister have taught him how to react to social cues but he is quiet and lonely. Lev knows the definition for emotions but doesn't think that he feels them until he rescues Mina when she steals his brother's wallet. Mina has been living on the streets for years but it has finally come to the point where she is ready to sell herself just to get some food so she can survive. Instead, the opportunity to steal a wallet presents itself but she finds that she has been caught by Lev. When he offers her the choice between jail or a job, Mina figures that she doesn't have anything to lose by taking the job. As Mina gets to know Lev, she discovers that he is different but in a good way. She quickly learns to trust him and begins to fall in love with him. Watching their love grow is magical. This is the first love story that I have had the opportunity to read where one of the main characters has the Autism Spectrum and I was entranced with the story. My husband has a mild case of Aspergers so I can attest to how rewarding it can be to take the time to build up the trust and love. 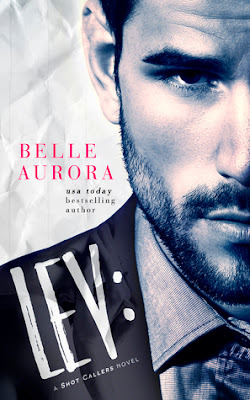 I highly recommend Lev to any readers who enjoy a good love story that can get rather steamy as they connect. I know that I plan on searching out this authors other books and dive in.